As their number increases, Chinese parliamentary candidates have drawn unprecedented attention in the UK's 2015 General Election. Xingang Wang (Wang) and Edward Yi He (He), both from the Chinese mainland, are standing as Conservative parliamentary candidates, the only two mainland-born Chinese to do so. Global Times (GT) London-based correspondent Sun Wei talked to both of them as prepared for their final campaigns before May 7. GT: What were your personal experiences of engaging with Britain's politics? What challenges have you encountered along the way and how did you manage to address them? Wang: There are a variety of reasons for getting involved in politics. Some treat it as a career, and some pursue their dreams. For me, I am just interested in politics and I believe in hard work, education and family, which are key Conservative values. I got involved in 2012, when I assisted our Conservative local councilor candidates to deliver their leaflets and kept record of queries from local residents during door-knocking campaigns. I realized that politics is "down to earth." It's woven into the fabric of our everyday lives, transportation, education, tax, healthcare, and so on. I'd like to see the local residents' difficulties being addressed, and I'm happy to see the real changes that politics brings to our lives. I am currently working in Product Control in the City of London. Although I am not a professional politician, I find what I've experienced outside of the office does have something in common with a local councilor's duties. I am a Magistrate (Justice of the Peace) sitting in the Adult Court, handling both civil and criminal cases for a maximum fine of £5,000 or imprisonment of up to 6 months. I am also a School Governor and part of their Leadership and Management Committee, where I participate in reviewing school finance and various strategic projects. And I did some volunteer work at charities. After getting involved in a bit about politics, I feel that politics is another way of doing charitable works. So I took part in the local council elections last year, and this year I am standing as an MP. The challenges are obvious as I am an immigrant while most of my peer competitors are native Britons. But I enjoy giving something back to the community, and my education and professional background equip me with knowledge and experience in bringing positive changes to communities. Politics is a very good way to meet and work with people who share the same values. He: I came to Britain in 2004 when I was admitted to University of Birmingham. After graduation with a Bachelor's degree, I joined Tata Steel as a steelworks engineer. During my six year with Tata, I got my Master's degree in Materials Engineering and an MBA in my spare time. My first contact with British political scenario was during my time in Swansea University. I took part in some activities organized by student groups and interacted with a few politicians. In 2011, I officially joined the Conservative Party. At the very beginning, language and cultural barriers were the biggest challenges for me. But along the way, I have made a lot of friends, many of whom will become life-long ones. They gave me lots of encouragement and support. Moreover, there has been increasing acknowledgement that China is an indispensable partner. The trade and cultural exchange have gained more emphasis from both sides. This also gave great opportunities for us Chinese to get involved in politics. GT: As an MP you would represent your constituency's interests in parliament. What's your manifesto and what are the main issues that you are seeking to address? 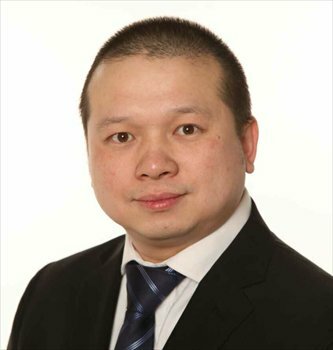 Wang: I am standing as the Conservative Parliamentary Candidate for Manchester Central at the 2015 general election. The core of my manifesto is a stronger economy for Manchester. As a Chinese native who witnessed the economic legend that lifted hundreds of millions out of poverty in 30 years, I resonate with the Conservatives' philosophy especially the "long-term economic plan" slogan. One of the Conservative's priorities is building a "northern powerhouse," and Manchester is surely part of it. After five years under the coalition government, the Northern city centers are thriving again. The economic activities are growing very fast in the North. In support of economy, there are issues of transportation, education, and lower criminal rates. My previous professional experience includes transport planning consulting, so I can easily find out there are large space for improvement in Manchester's transportation system. My out of office experience as School Governor and Magistrate also equipped me with insider perspectives and insights. With better transportation and equipment which can attract more investors, better education for our kids, and lower criminal rates, I believe Manchester would be a stronger economic powerhouse. He: I am standing as the Conservative Parliamentary Candidate for Aberavon. As a former steelworks engineer from this constituency, I understand the significance of Tata Steel to our local economy, and this will be my overriding concern if elected. Having worked in the plant, I fully appreciate the impact the steelworks has in our community. I also share the local residents' concerns, and their desire for heavy industry to have a sustainable future without damaging the environment. I will work closely with my former colleagues and the stakeholders of Tata in fighting for this future - with the plant remaining the bedrock of our local life. I also have personal experience of studying in two local universities, which allows me to form unique insights to local education. In addition, I have served as a trustee for a well-established local cancer charity, as a committee member for regional youth professional network, and as a proud campaigner in learning and promoting the Welsh language. I believe my heavy industry experience, knowledge of local education and health services will allow me to serve our community in every respect. GT: From your perspective, what makes an "ideal" MP? Wang: After I have engaged with the politics, I feel that it's not aloof like the TV series or movies described, but it's closely connected with every single aspect of our lives. If I can officially enter the political arena, I would like to do more practical things, and would like to see changes be made to benefit residents. To be honest, the role as MP candidate is quite different from my role in professional career, where I dealt more with data and tend to be cautious. Though I might not be as eloquent as native speakers, I am passionate with what I am doing. My focus is to build a secure and prosperous future for residents. He: Prior to getting involved in politics, I thought that to be an MP, one needed to be a superb and eloquent speaker. However, what I have experienced is quite different from what I imagined. In Britain, people who participate in politics come from all walks of life. Once you become an MP, a large part of your time is spent on addressing the problems of local residents in your constituency. Politics is omnipresent in our life. And there are all kinds of opportunities to engage with politics in this country because there are many levels of political life, from student organizations to trade unions in the workplace. I hope I can make full use of what I've learned to contribute to the local economy, education and healthcare. I will feel satisfied and pleased if local residents can benefit. GT: What are your thoughts on Chinese immigrants getting involved in British politics? Are there any changes you have noticed? Wang: Chinese are gradually getting involved in British politics. The general election this year witnesses the biggest number of Chinese prospective parliamentary candidates than ever, a total of 11 candidates standing major national parties. One of my initiatives is to encourage more Chinese people to engage in politics, so we can empower the Chinese communities. During campaigns, I found that the elder generation of Chinese immigrants is not very interested in politics, and that might to some extent explain the fact that most of the time Chinese Britons are referred as a "silent" or "hidden" minority. But the new generation of Chinese immigrants is more passionate about getting their voices heard. It's also good to see there are organizations, such as the British Chinese Project, seeking to raise the presence of the UK Chinese community in the British political arena. He: Chinese tend to be modest and pragmatic, which are traditional national virtues. On many occasions, when Chinese people encounter some difficulties, they would rather resolve their problems through hard work and perseverance. However in this country, if you do not speak out about your problems or concerns, others cannot help even if they want to. Therefore, Chinese people need to be more active in expressing their own opinions. Once you got a problem, you need to try very hard to get your voice heard through a variety of channels. In this way, our vital interests can be taken into consideration and protected in policymaking. In fact, I have seen positive changes in the past few years both in local council and parliamentary elections. There are an increasing number of Chinese participating in politics. It is a good thing, because more people involved, more voices would be heard. 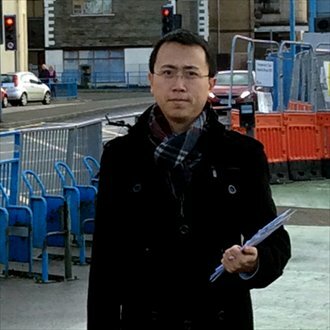 GT: To what extent do you think Chinese candidates can pry open new space for themselves and claim some places in Britain's political arena? Wang: It goes without saying that the chances of your voice being heard can be much higher if you get involved and participate in the process of policy-making. For instance, Home Secretary Theresa May announced a new 24-hour visa service for Chinese visitors during Chinese Premier Li Keqiang's visit to London last summer. May made the announcement on a reception hosted by the Conservative Friends of the Chinese (CFOC) and the UK China Visa Alliance (UKCVA). Without efforts made by the CFOC and UKCVA, there wouldn't be such changes. He: I hope there will be more Chinese getting into British politics in the near future. In this way, our interests can be best protected. Chinese are quite under-represented in British politics, and we need to make a change by getting involved. In fact, nearly all the UK parties have Chinese divisions, and some even have Chinese versions of their websites. I hope my own experience would be an inspiration to encourage more Chinese people to understand different party policies, and participate in their activities. Even as a student, there are opportunities to know more from parties' student bodies in different universities. These organizations often invite MPs or politicians to make speeches, and this could be a good starting point too.